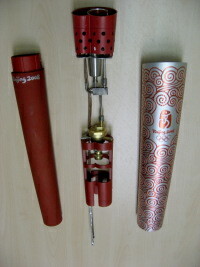 December 13, 2009 -- I disassembled a 2008 Olympic torch! Here are some pics and technical notes. June 4, 2008 -- New project page is up for Terra Preta Planters. 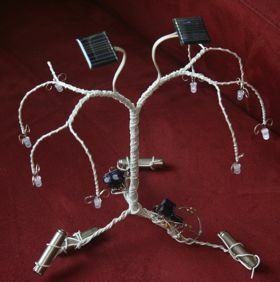 May 13, 2008 -- Pages with pics and one video are up for Robotic Plants and Nightmare Machine. Links to some stuff I like are posted, naurally enough, on the "Likey" page. More videos and how-to postings are coming. May 8, 2008 -- Pages are up for Flashy Glasses, Amp, Curvy Bookcase, and Hero's engine. Nightmare Machine, Bumblebot, and Robotic Plant life are coming soon, then more schematics and videos. May 6, 2008 -- I'll be making major updates to the site over the course of the next week or so, including documenting all the projects I showed at Maker Faire.